Force plates are tools used for the measurement of ground reaction forces during walking, jumping, or any other type of movement. Force plates use a one of several different types of sensors (load cells) to measure forces, and the corresponding values are typically presented in Newtons (N)—the standard measure across physics. Beyond vertical force, some force plates can measure shear forces—i.e. lateral and horizontal forces. These come into play more specifically for healthcare and research applications, such as orthotic bracing and studies of specific neuro-muscular diseases. There is a bit of misinformation (or perhaps, just vague marketing) about data that can be collected with a force platform, when in fact the devices in question are pressure plates. Pressure plates use a larger number of sensors (typically in the hundreds, if not thousands, depending on size) to give an idea of the pressure distribution of an athlete or patient. Pressure plates can measure force, but only vertical force through the summation of all the sensors bearing weight. This leads them to have less accuracy, but still allows them to provide valid and usable data for some circumstances. In many cases, pressure measurement is performed at a lower sampling rate than force measurement, which renders them less useful for specific applications like jumping. Essentially, using a pressure plate for jump testing, while painting a clear picture of how pressure is distributed beneath a subject’s feet or shoes, is akin to using a jump mat—i.e. calculations on jump height are reliant on contact/flight time, and not velocity. To be clear, a force plate can’t measure pressure distribution - so no "heat maps" like you might have seen at the pharmacy. As mentioned previously, some force plates can measure vertical force as well as horizontal/lateral force. These types of force plates are referred to as being multi-axial, or that their sensors are configured to measure these types of stresses. Often, for jumping specific applications, a single-axis or “vertical” force plate is all that is necessary for measurements. However, when coupled with a high-speed video or optical based motion capture/analysis system, multi-axis plates are needed to look at the force vector—that is, the path of the force as a jump (or other movement) is performed. Possessing the ability to view the course of the force as an athlete or patient moves across a platform is invaluable for a number of applications, but is most commonly used for traditional gait analysis (clinical and research). 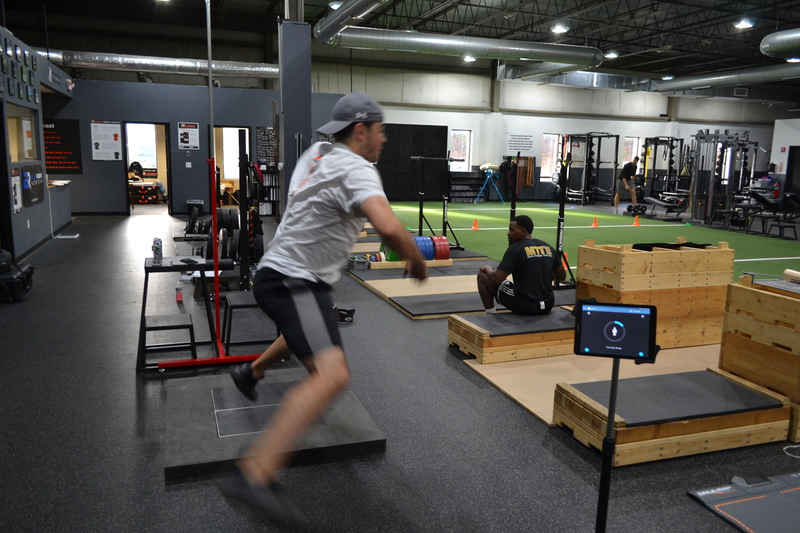 In terms of force plate configurations, in different gait labs you might find several different configurations—from one or two platforms set in a walkway, to 10 or more in a row. However, when it comes to jump testing, one will typically find one of two setups—unilateral or bilateral. The differences between these force platform configurations are easily understood from their respective names, but just to make it clear—a unilateral system is comprised of one force plate, and a bilateral system is comprised of two force plates. Both setups are useful for jump testing, but a bilateral configuration will allow a user to examine left-right asymmetries. In many instances bilateral setups can mean a more complex installation as well as more cables. For some force plates that also means additional equipment costs, i.e. an additional force plate, amplifier, and cable. Over the last 5 or so years, force measurement technology has exploded in popularity in elite sports and training facilities and is slowly trickling down to all other facets of sport. Force platforms are most often used for monitoring training effectiveness, return to play protocols, and athlete screening. Testing schedules vary widely depending on the type of athlete and the coach’s philosophy—we have worked with coaches who test up to 3 times per day, and with others who test only a handful of times per year. Regardless of how they are used, one thing is abundantly clear—force plates are an excellent tool for measuring athletes because of their validity. Jump tests on force platforms are extremely repeatable, reliable, and easy to conduct. Setup time for each individual athlete is basically nonexistent, and large groups can be tested in quick succession without the need for sensor placement. Additionally, it is very difficult (if not impossible) to cheat a jump test on force plates, either to mask an injury or pain or to appear stronger, quicker, or more powerful than one is in reality—for the simple fact that one cannot cheat physics. That being said, it is extremely important to always consider what metrics you are using to evaluate your athletes and how those metrics are calculated. How do Force Platforms work? Force platforms use transducers to measure three-dimensional or vertical forces exerted upon them. There are several types of force plates on the market and they are classified either by how many pedestals they employ (single-pedestal or multi-pedestal) or by the type of transducer. 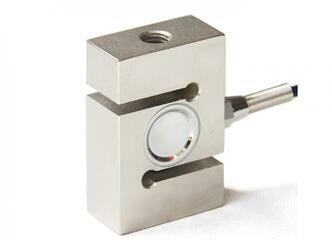 The various types of transducers commonly found in force platforms are as follows: strain gauge, piezoelectric sensor, capacitance gauge, Hall Effect, and Piezoresistive sensor. Although these sensors function differently from a technological standpoint, they all measure force by monitoring an electrical current flowing through the sensors and observing and recording its changes as force is applied. The change in current is then translated into a newton value based on the platform’s calibration. Would you like to learn more about force plates in sport, or how you can get going? Drop us a line at info@hawkindynamics.com or fill out a contact form on our website here.